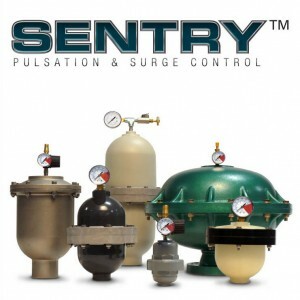 SENTRY Pulsation Dampeners, Surge Suppressors and Inlet Stabilizers protect pumps and system components from destructive pulsation, surges and hydraulic shock. Prevent premature pump failure, pipe breakage, product agitation and system contamination. Ensure a steady, continuous fluid flow and increase service life of all system components. SPILLSTOP Spill Prevention and Leak Containment prevent hazardous and costly spills when diaphragms fail. Call Pump Supply Inc to help determine the solution for your process. 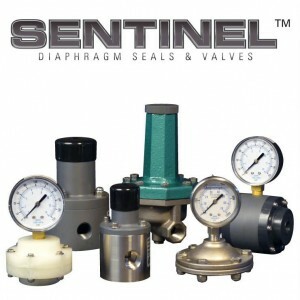 Protect and isolate all forms of system instruments from hazardous and corrosive process fluids. 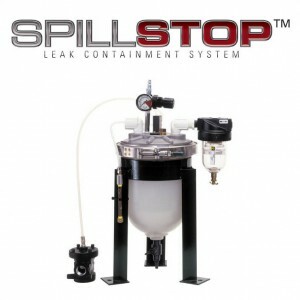 The patented SPILLSTOP Leak Containment System prevents costly and hazardous spills caused by pump diaphragm failure. The SPILLSTOP’s patented design safely captures leaked product while effectively shutting down failing pumps.